After you install OpenLiteSpeed, follow the instructions below to get your Magemto 2 site working. In this example, this file would be /usr/local/lsws/lsphp70/etc/php.ini. You should increase max_execution_timeand make any memory configuration changes here if your version of Magento requires it. IMPORTANT : These rules are written for installations located in subdirectory “magento2”. If your Magento installation is located in the server docroot instead of the suggested /magento2subdirectory, remove “magento2” from the rewrite rules containing it. For example, RewriteBase /magento2/ would become RewriteBase /, and RewriteRule . * /magento2/index.php [L] would become RewriteRule . * /index.php [L]. 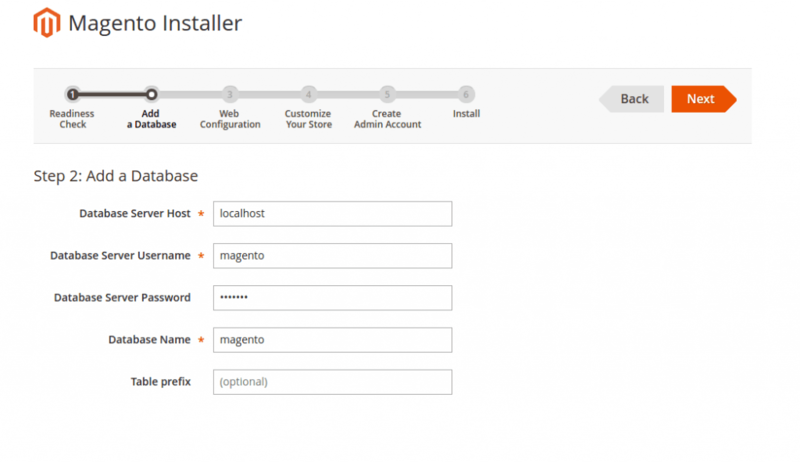 To illustrate setting up Magento on a vhost we’ll use the default virtual host, “Example”. 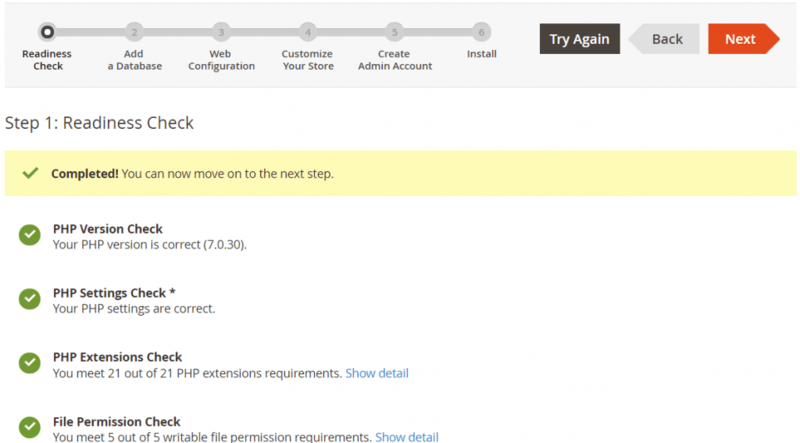 You can download Magento from their official download page. Please note that the document root of ‘Example’ virtual host is /usr/local/lsws/Example/html/. We will setup CE-2.2.4 with demo data version. 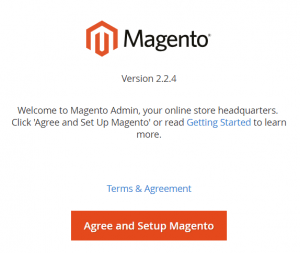 Accept terms and conditions by clicking ‘Accept and Setup Magento’. Magento CE installer needs to check if all the requirements are met, if you have followed all the guidelines above, all requirements should meet, just click ‘Start Readiness Check’. We’ve created the database above. Just enter the database details and click Save and continue. 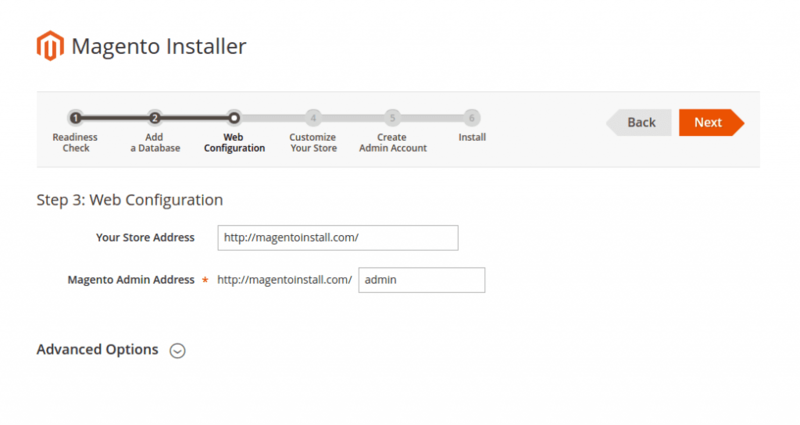 If the Magento installer is successfully able to connect to the database, it will start the installation process. Enter database details we created above. Setup your Store and Admin URL Path, e.g.